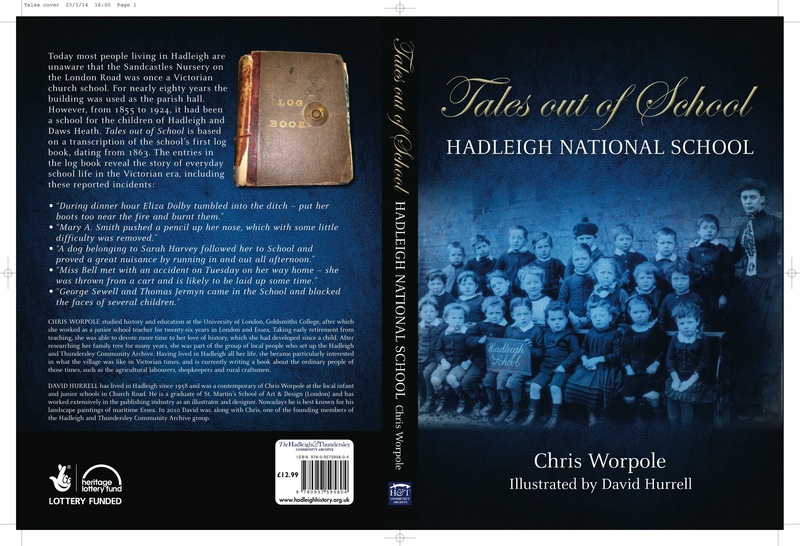 As part of the local archive’s 2013 HLF “All Our Stories” project, Chris Worpole researched the Victorian National School in Hadleigh. Using extracts from the original school log book (1863 to 1901) conserved at Essex Record Office; Chris then wrote a book “Tales Out Of School” which the Hadleigh & Thundersley Community Archive have taken great pleasure in supporting as their third publication. This accessible and entertaining insight into the lives of individual children and teachers is comprehensively indexed so people can check whether any of their Hadleigh or Thundersley ancestors are mentioned. Superbly researched with insights into the life and social history of Hadleigh from its origins as a small farming community, David Hurrell’s illustrations bring local events to vivid life. Through the use of its historical interpretation, historical enquiry, organisation and communication, this book could be useful for history studies in conjunction with its accompanying Schools Pack which includes detailed notes for both teachers and pupils. However, the National History Curriculum continues to evolve and no liability can be accepted as to suitability for particular exam boards or study levels. See how the book was printed. 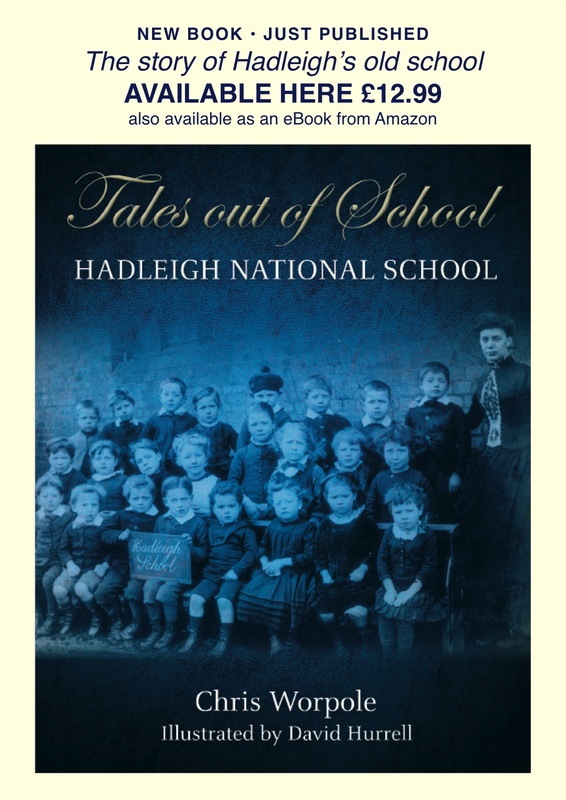 Tales out of School is out of stock at the moment; but still available as an exciting E-book. A teacher pack is also available on special application. More information about the architect, George Edmund Street, is in two related articles, starting here. As the great grand daughter of Alfred and Sarah Hawks, Master and Teacher at the school, I read this book as soon as I could. For anyone interested in the social history of this period it is a fascinating read, both about the education system and about life in Hadleigh.